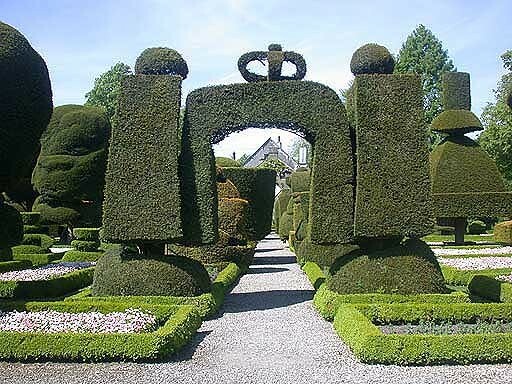 Levens Hall (Cumbria) is a garden of 12 acres including the world famous topiary laid out by M.Beaumont in 1694. It is known as one of the finest examples in the world of a topiary garden and has won many pestigious awards. The topiary , magnificent trees, beech circle, water and herbaceous features, colourful seasonal beds, create a stunning visual impact . They have huge abstract shapes, pyramids and columns - some of which are fashioned from trees 300 years old.